PhD student Dr. Shirin Moossavi wants to bring a more personalized approach to medicine through her research at the University of Manitoba. Her thesis research examines a link between breast milk microbiotia and asthma in infants. Dr. Shirin Moossavi has participated in a wide-range of research projects during her long academic career. After studying in England and Iran, she is now studying human milk microbiota at the University of Manitoba in hopes of discovering whether microbial exposures through breastfeeding can prevent early-onset asthma in infants. 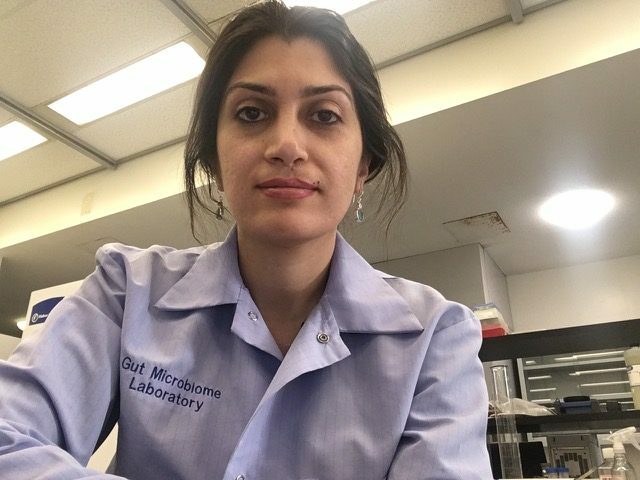 After finishing her Masters at the University of Sussex, Shirin joined the Digestive Disease Research Institute at the Tehran University of Medical Sciences. Rather than assign Shirin a project, the education deputy, Dr Hossein Poustchi asked her if she had any ideas of her own and for that, she has always been grateful. PhD student Dr. Shirin Moossavi at her lab at the University of Manitoba. Over the next few years, she expanded her knowledge of the field while running small microbiome-related projects. Eventually, Shirin contacted the head of the Gut Microbiome Laboratories at the University of Manitoba to see if their institutes could collaborate. Shirin ended up meeting her current supervisor, Canada Research Chair Dr. Meghan Azad, through this collaboration, and heard about her project on human milk microbiota. Now in her PhD at the University of Manitoba, Shirin considers herself fortunate to be a part of the Canadian Healthy Infant Longitudinal Development (CHILD) study: a Canada-wide birth cohort of around 3500 mothers and their children. The cohort is multidisciplinary, which she cites as a huge advantage: the cohort is able to address unique research questions from many angles, and working with others has taught Shirin a lot about professionalism and collegiality. The main focus of the CHILD study is to identify risk factors and protective factors for paediatric asthma using a combined approach. Shirin considers herself fortunate to be a part of the Canadian Healthy Infant Longitudinal Study research cohort. Shirin is nearing the completion of her thesis, which aims to answer two main questions. First, what maternal, infant, early life and home environment factors influence the composition of breast milk microbiota? And second, are milk bacteria associated with infant health, especially relating to asthma and infant growth? This research would have significant real-world implications. In most cases, breast milk is the first thing an infant consumes, and as such it naturally introduces beneficial microbes into an infant’s digestive system. 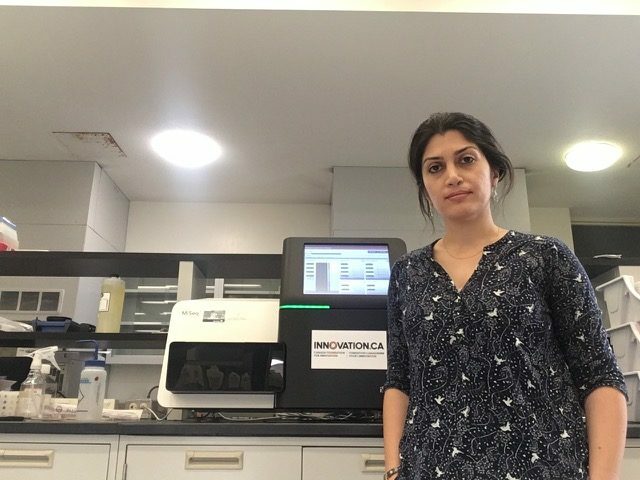 When she completes her PhD, Shirin intends to continue her research on microbiome with a post-doc so that she can expand her technical expertise and scientific knowledge. She has many other projects in the works as well: she will be organizing the first Iranian Symposium on Gut Microbiota concurrent with the Iranian Congress of Gastroenterology and Hepatology; she is the co-chair of Obesity Canada Students and New Professionals Manitoba Chapter; and she still advises members regarding microbiome studies at the Digestive Disease Research Institute at Tehran University of Medical Studies..
Shirin points out that while one composition of bacteria in a healthy person could be beneficial, in another person the same composition could be harmful. As a result, Shirin wants to help the field move towards a more precise and personalized approach to medicine, no matter where her research may take her.